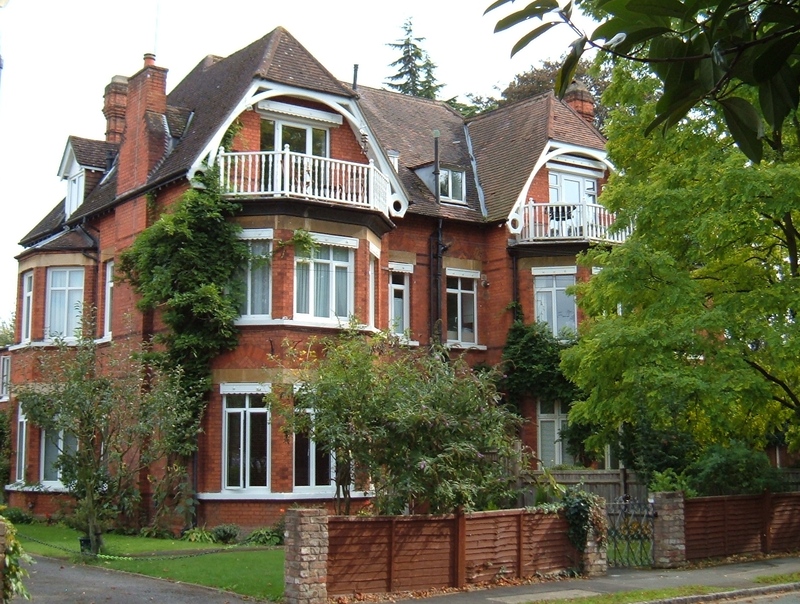 This very large pair of semi-detached houses first appears in the census in 1891, but the occupants of both were listed in Kelly’s Directory for 1883, a date similar to the other houses in this newly laid out road. They are very odd-looking, and unique in Datchet due to the gable end roofs with unusual curved barge-boarding above the top floor balconies. Both have now been converted into flats, but surprisingly they seem to have remained in single-family occupancy until the 1970s. In 1891 Samuel Smith Millar was head of the household here, his occupation given as Doctor of Medicine, with two stockbroker sons, a younger son and three servants. In 1876 Samuel’s wife had successfully petitioned against him for divorce, after producing eleven children, and from 1880 it seems that the father and older sons used this as a country residence while keeping their London base. At the 1901 census Swanmead was ‘not in occupation’. 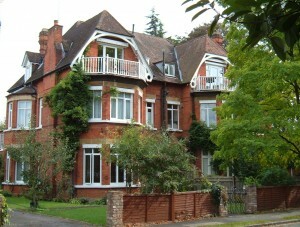 Following short occupancies (Stroud and then Cox), Daniel Brey Ledsam and his wife lived here from about 1911 to 1920. They were followed in the 1920s by Capt W.A.H. Brady. In 1915 William Alfred H Brady, from Clapham in London, was a Lieutenant in the Royal Fusilliers and served in the Balkans, but in 1917 he transferred to the 36th Sikh Regiment of the Indian Army, and was promoted to Captain. In 1920, at about the time he and his wife moved to Swanmead, he was reported as still serving in India. Kelly’s final listing of his name, as Major Brady, was in 1947 and from then Mrs Brady was recorded until the 1970s. 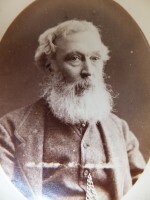 George W Marsden’s family was here in 1891, and had already been recorded in Kelly’s since 1883. Marsden was a solicitor, living with his wife, daughter, son, and servants, including a governess. There was also a visiting barrister in the household. George’s wife and daughter were both called Myfanwy (a Welsh name), and Bryntirion is a place name in Wales, which may account for the unusual name of their house, although neither George nor Myfanwy were born in Wales. The Marsden’s were listed by Kelly’s from 1883 and were recorded on the 1891 and 1901 censuses. In 1911 the house was empty and the next known occupant was Surgeon-Commander Percival in around 1920. From then Kelly’s lists Beeman-Hughes and Howard until by 1947 the family of Joseph Myers family took up residence and remained there until the 1970s.